A beautiful two-tone silver Rhythm mantel clock. 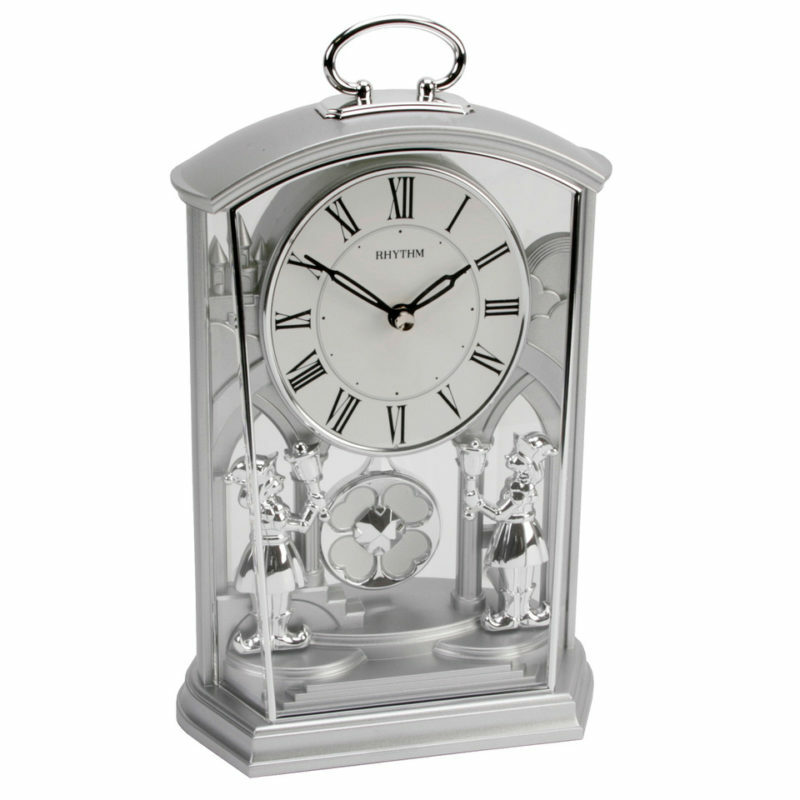 The clock has an ornate design with Rhythm’s silent ‘comfort swing’ pendulum and sweet little elfin footmen on either side. The oval clockface features a minimal design, a Roman dial and black sword shaped clockhands, utlizing an ultra precise quartz movement. Complete with a gold finished carrying handle. With superior, Swarovski crystal decoration and unique sound quality, Rhythm is globally renowned as the number one clock brand. Rhythm clocks are the centre of attention, providing a luxurious touch of refined beauty to any style of decoration. Built for a clock lover who appreciates ingenuity, the quality of a Rhythm clock is unparalleled. These beautiful and sought after timepieces are sure to be cherished and treasured for a lifetime.